Thank you for your interest in employment at Martis Camp. We believe our greatest assets are our Ambassadors, each one of whom contributes to the growth and success of the Club. We strive to employ individuals who take pride in their work and aim to reach their greatest potential while preserving the values and unique culture of Martis Camp. 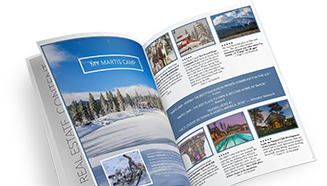 In hiring for employment opportunities, Martis Camp seeks qualified, forward-thinking, energetic, hospitality-minded individuals wanting to contribute to a TEAM that strives for excellence. Our goal is to provide our members and their guests with the experience of a lifetime, each and every day. If you are interested in a career or seasonal position providing exceptional hospitality to our members and their guests, we encourage you to explore the opportunities posted here and apply online.